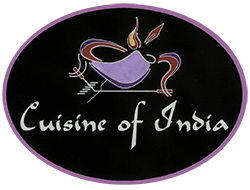 Online ordering menu for Cuisine of India (Naperville). Want to find mouthwatering tender delicious spicy food? Cuisine of India offers a variety of dishes that are a faithful homage to the techniques and flavors of India. We serve soups, salads, vegetarians, chicken, fish. More choice on our online menu website, order online Now! We welcome you to enjoy, relax and sink into comforting and enticing flavors of Cuisine of India. We are located at Walter Payton Memorial Highway (Interstate 34) and Iroquois Ave, near Ogden Mall. Just few minutes driving from Seager Park, the Growing Place Garden Center and Jefferson Junior High School.